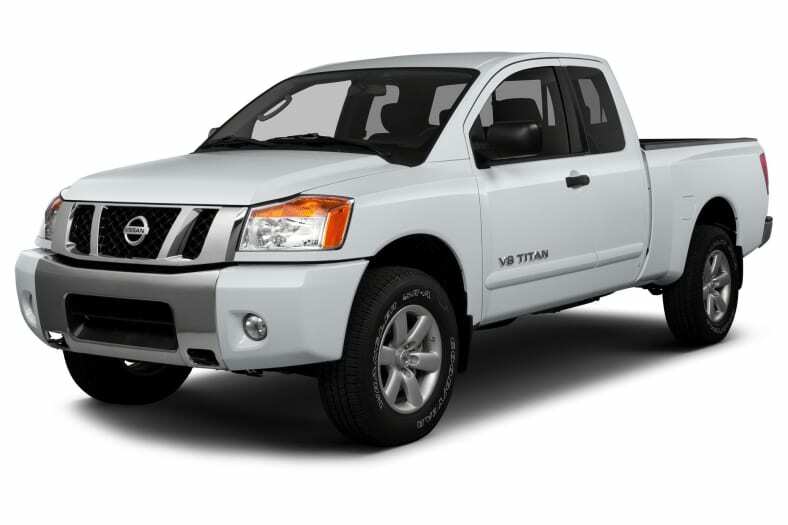 The Nissan Titan is a serious, full-size pickup truck designed for work and play. It is available in both rear-wheel and four-wheel drive configurations, with two body styles - extended (King) Cab and Crew Cab. The Titan is offered in four trim levels: S, SV, PRO-4X and SL. All are powered by a 317-hp 5.6-liter Endurance V8 engine, mated to a five-speed automatic transmission with Tow/Haul mode. When properly equipped, the Nissan Titan King Cab has a 9500 pound towing capacity and the Crew Cab has a 9300 pound towing capacity. Safety features include active front head restraints, dual front airbags, anti-lock disc brakes and a tire pressure monitoring system. Standard equipment for all models include, side curtain airbags, panic brake assist, and electronic stability control. The PRO-4X and the SL trims feature standard hands free Bluetooth wireless connectivity. The 2013 Nissan Titan has been enhanced. The tailgate has been improved aerodynamically, while other changes focus on additions and revised content for the various models and equipment packages. Also, there are seven additional exterior colors to choose from.